Getting a divorce can be complex as well as harrowing. Though most divorce lawyers are experts in their domain, not all are capable of giving an honest opinion about your legal rights. When you hire a divorce attorney, you are entrusting him/her with the most sensitive aspects of your life. Consequently, a divorce attorney should not only be able to understand your personal situation and its effects on your family but also offer sound advice, thereby helping you through this difficult phase. Whether you are facing a mentally-upsetting decision to separate or defending a domestic violence injunction, you deserve a compassionate and a qualified divorce attorney who can help you get through this murky situation with as little pain as possible. Here are five ways in which a skilled divorce lawyer can represent you in court, and offer you the right legal advice as you battle with a million thoughts that frantically run through your mind. When trying to get out of an unhappy or an abusive marriage, emotions run high, making it tough for you to focus on critical matters such as being aware your legal rights and understanding the tax implications of the settlement. A divorce lawyer is aware of the laws and the court rulings and can help you focus on the legalities of the separation and the terms of the settlement, making the process less disturbing. He/she knows what you are entitled to receive and can negotiate with your spouse’s attorney to reach an amicable settlement. The better you understand your rights, the more successful you will be in negotiating a reasonable settlement with your spouse. Thus, your divorce attorney acts as a liaisoning agent, enabling you to fight for your rights when dividing the property, establishing parental custody, discussing the alimony, and reaching a mutually-agreeable financial arrangement. Though your lawyer cannot guarantee you victory, he/she can certainly inform you whether or not you have a strong case. Most people filing for divorce lack knowledge with respect to the divorce process and have rarely dealt with lawyers and the court of law. With an experienced divorce attorney on board, you will be aware of each step of the complex legal process, and the contracts and forms to be filled when divorcing your spouse. In all probability, you and your spouse will disagree on a few aspects of the settlement. If that is the case, only a professional divorce lawyer can help you determine what’s fair and what isn’t, and organize the necessary paperwork, getting your divorce documents signed by the judge in no time. What was once ‘ours’ in a marriage turns into ‘mine’ and ‘his/her’ after a divorce. Dividing the joint assets between you and your partner when going through a divorce can be extremely overwhelming. Moreover, if either of you is vacating the house or liquidating a joint property, the entire process can be quite taxing, stirring emotions and bringing up several bitter memories of the past. Splitting assets such as the home, vehicles, jewelry, the retirement account, and securities must be done in a manner that is acceptable to both the parties involved. With his/her knowledge and experience, a divorce attorney can help you find the most efficient and inexpensive route to dividing assets and resolving property disputes if any. 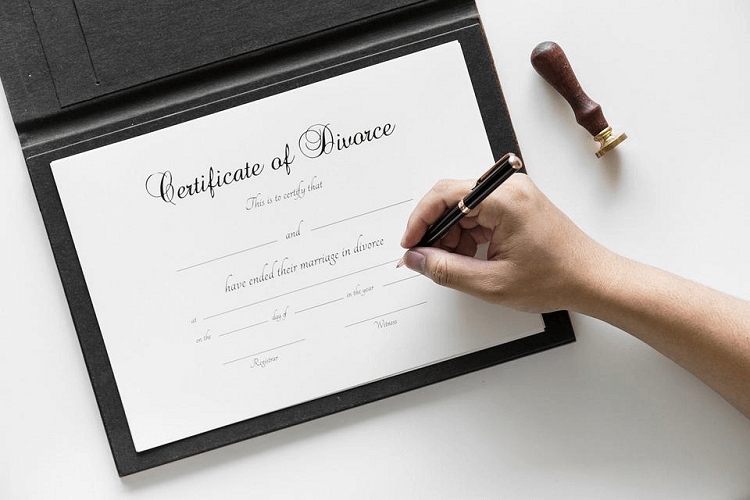 However, since U.S. state divorce laws vary, it’s critical to talk to your local attorney to get a grip on the regulations that are applicable in your case. For instance, divorce law in Illinois requires a division that is fair, but not necessarily equal. Moreover, the judge in this state will consider factors such as the duration of the marriage, the age, the health condition, the occupation, and the employability of the spouse, and the terms of any prenuptial agreements, amongst several other factors. Consequently, a person living in DuPage or the Kane County in the U.S. state of Illinois can consult St. Charles IL divorce lawyers to determine whether the property is marital or separate, assess its value and negotiate a settlement. Only an experienced divorce attorney can ensure that your parental rights are protected. He/she will help you understand the meaning and the difference between legal child custody (sole or joint), residential custody, and visitation rights, and advice you to choose the most suitable option. For instance, if you and your partner find it tough to get along or in case of divorce due to domestic violence, your attorney will advise you to appeal for sole custody, saving you much stress in future. Whether you want to be a custodial or a non-custodial parent, hiring a divorce and child custody law attorney will help you determine the most appropriate child custody arrangement. He/she will carefully listen to your situation, consider all the potential outcomes, and research all related laws to offer a solution that is agreeable to you and your spouse. Several legal issues continue to crop up even after the divorce is approved by the court. A divorce attorney can help you tie the loose ends in cases of transfer of property, change of name, relocation to a different state or a country, and tax, insurance, and custody issues, thereby enabling you to overcome common post-divorce issues with ease. Distributing assets and investments and paying or receiving alimony can have tax consequences. A divorce lawyer is aware of the various implications of your settlement and can help you with the tax issues arising at a later stage. Child custody rights are quite complicated, causing disputes related to the visitation schedule after the divorce. In such cases, an attorney will carefully examine the divorce decree for the visitation rights and help you address specific concerns, saving you and your kids from awkward and emotionally-hurtful situations. Moving to a different state or a country and remarrying can affect the child custody, the right to visitation, the inheritance through a will, and the spousal support or the alimony. Only an experienced divorce attorney can help you with these post-divorce decisions that otherwise can take a lot of time to fully resolve. Without a doubt, going through a divorce is one of the most crushing experiences you can have. Divorce is a complex process that demands the involvement of a qualified and an experienced attorney with intricate knowledge of the latest federal and state laws. The above article will help you appreciate the role of a divorce attorney in ensuring a fair settlement and a fast divorce, helping you move on with your life.